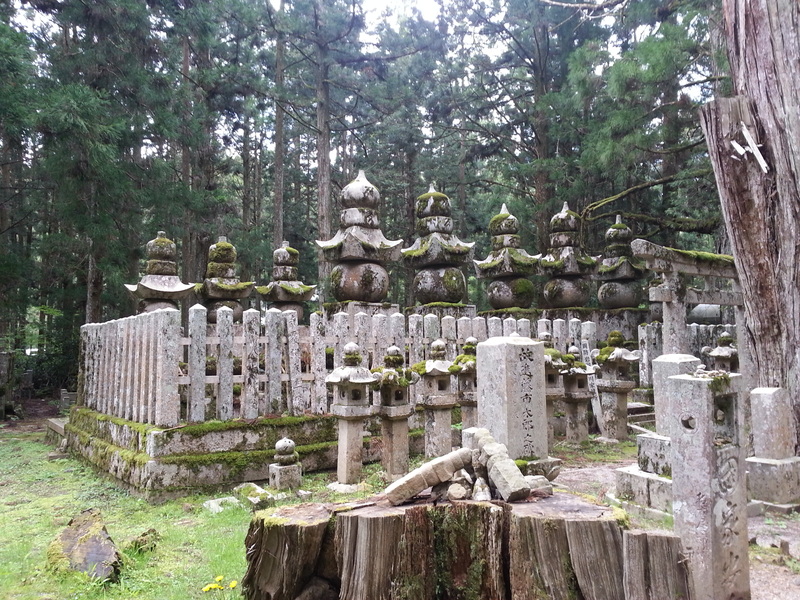 The Okunoin Cemetery in Mount Koya, Japan, will be the first in a series of articles about some of the most inspiring cemeteries I’ve visited. You might remember my previous articles about my trip to Japan in May (Fushimi Inari Taisha, Zen Gardens and Shojin Ryori). Another place where I had amazing Shojin Ryori food was Ichijoin, a buddhist temple on top of Koyasan where you can spend a night or two. The whole experience was truly unique, I strongly recommend staying there – and it’s really worth waking up at 6am to attend the temple’s morning prayer! 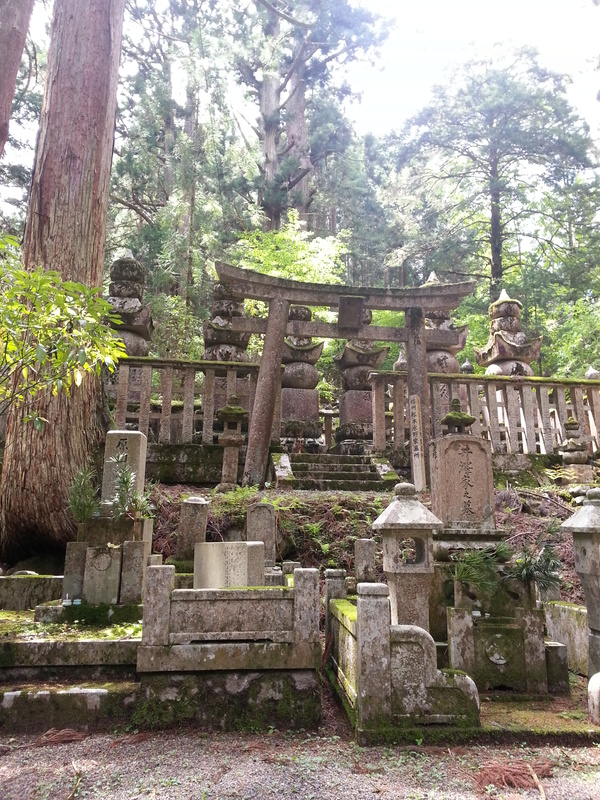 Koyasan (Mount Koya) was settled nearly 1200 years ago by a Monk, Kobo Daishi, the founder of the Shingon Buddhist school. 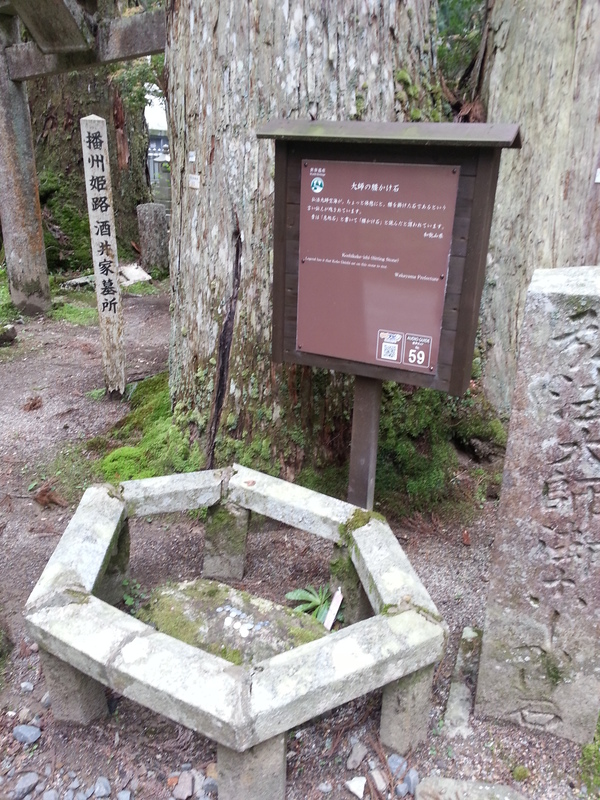 When he died, the monk was entombed in Koyasan, but he is said to be still alive and meditating. Monks have brought him food every day since then. 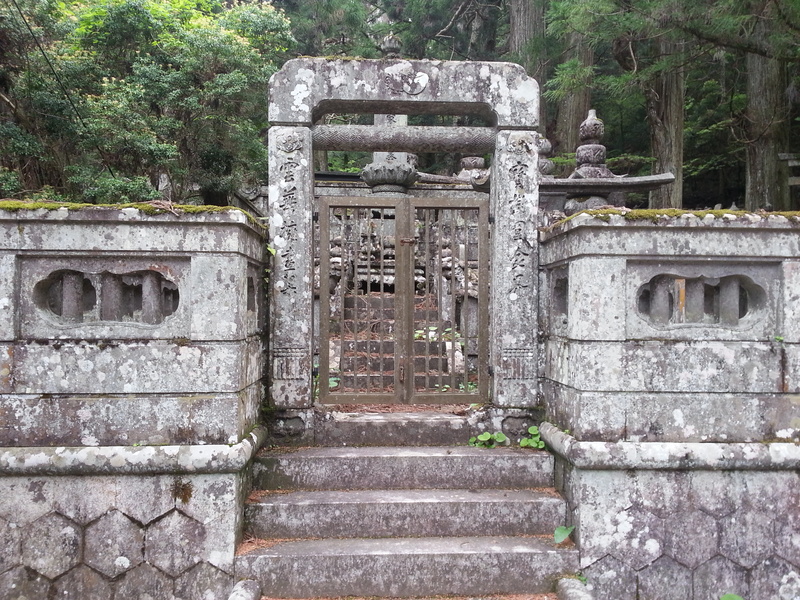 The Okunoin is the cemetery where Kobo Daishi’s mausoleum is proudly standing. 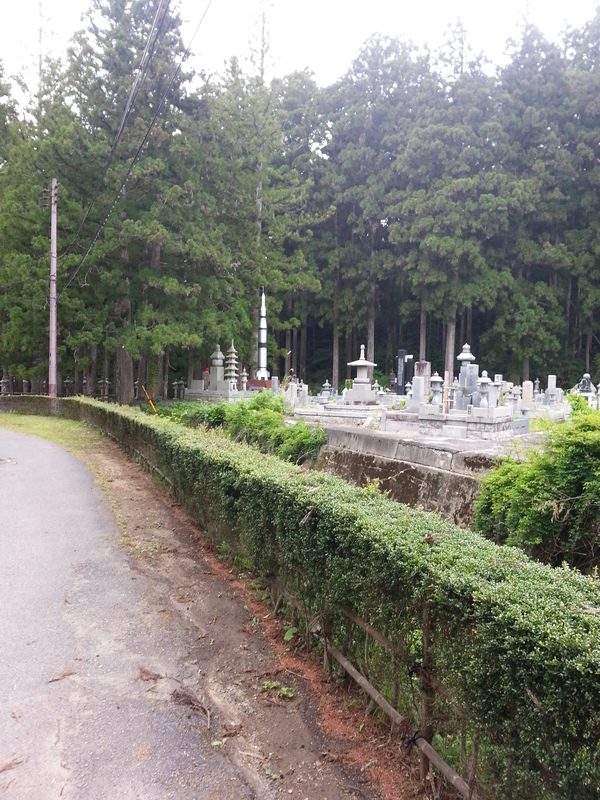 The largest in Japan, it contains 200 000 tombstones scattered under the Cryptomeria forest, along the 2km paths leading to the mausoleum. 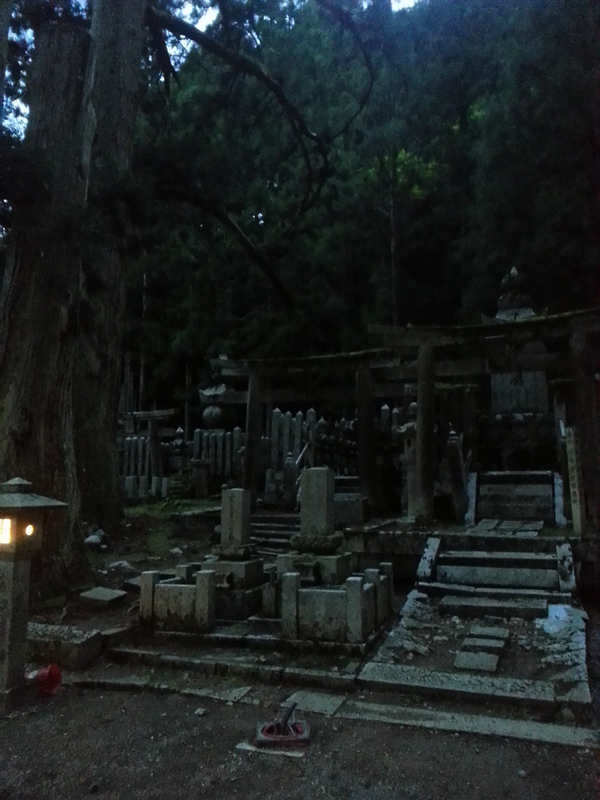 The cemetery – except for the halls in front of the mausoleum – is always accessible, so we visited it twice: at dusk, before the temple’s curfew, and during the day, where we could visit Torodo Hall, the hall of lanterns, where the 10 000 lanterns are being eternally lit. 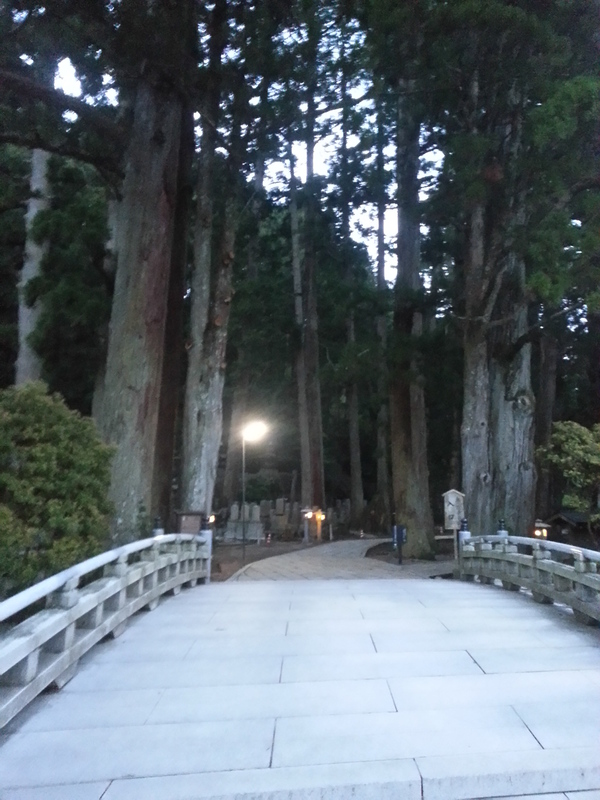 At dusk, the Okunoin was truly both peaceful and eerie. 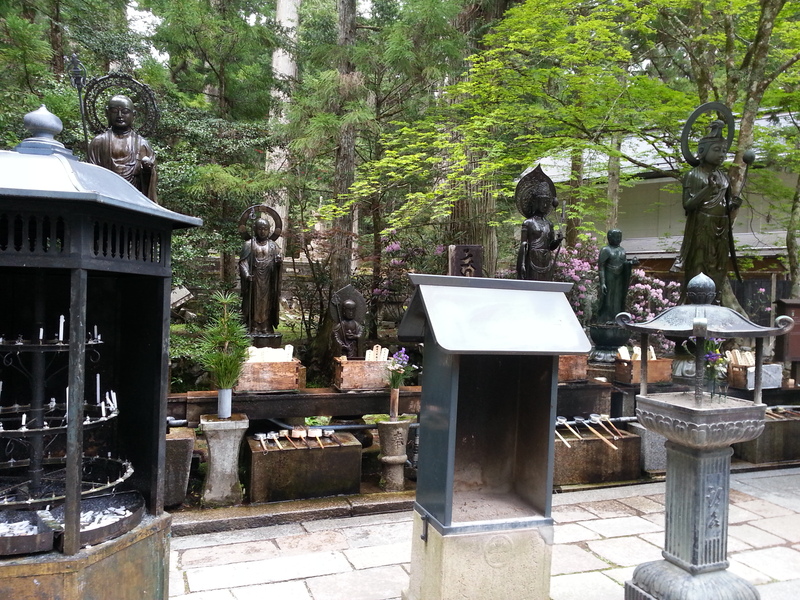 Mizumuke Jizo (Water Covered Jizo), statues the visitors make offering to and throw water on, to pray for dearly departed ones. No pictures are allowed after the Gobyonohashi bridge (it’s considered as very disrespectful), so you won’t see the hall of lanterns. You’ll have to go there and visit this splendid place! More recent, intriguing rocket tombstone! I will definitely go there if I go to Japan.